One of my favorite websites is Cynthia Morris's Journey Juju. 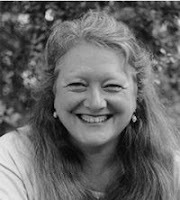 Cynthia is a Denver-based creativity coach who took a creative leap last year, leaving behind her life in Colorado to wander around Europe: leading workshops, working on her novel, romancing her Muse. Along the way she even fell in love with a Portuguese rock-climber and made a longer-than-previously-expected sojourn in Lisbon. I've attended workshops lead by Cynthia, and it's impossible not to come away from any time spent in her presence with an enhanced sense of life's glorious possibilities. But I think that rather than being a creative nomad, I may be a creative stay-at-home. I'm having fun on my trip to California, I really am. Only not QUITE as much fun as I would have spending the same days at home. Yes, the ocean is beautiful, sparkling outside my Ocean Avenue window here in Santa Monica - but so are the Rocky Mountains outside my window in Boulder. Yes, it was lovely to have an early morning walk from Santa Monica beach to Venice beach yesterday, while Gregory and Sierra slept late. But it's just as lovely to have an early morning walk on the trail that begins a few blocks from my own front door. I did love the hot chocolate I had at the French Market Cafe in Venice - but I love my own Swiss Miss hot chocolate on my own couch even more. My idea of a perfect vacation is to find a place where I can curl up and write, but, it turns out, places vary in perfection pretty much as they are more or less like my own little cozy house. Then this morning I stumbled on a farmers' market in Venice, and the man selling the croissants there was so lovely. "Two dozen croissants, Madame?" he asked. When I bought only two, he was perplexed: why just two? "I want to be thin like the French women," I told him. "But, madame, you are already so thin, I can hardly see you!" he exclaimed, the charming old flatterer. Now, I'm eating one of them, and licking the buttery crumbs from my fingers, and the breeze off the Pacific is soft and salty. And the life of a creative nomad suddenly seems quite sweet. 1) Leave extra time for travel even though the man at the hotel desk says that you can drive from Santa Monica to USC in half an hour in rush hour traffic. Maybe you can, and maybe you can't. After all, he didn't know I would miss the turn into Gate 3 on Figueroa Street and have to drive all the way around the large USC campus for a second try at it. 2) Take your guidebook with you even though you hadn't originally planned to go directly from USC to explore downtown LA. It's lovely to have options. 3) Check out guidebooks from the public library rather than buying them - the library has heaps, and why pay money for a book you'll just use for a week and then never use again? 4) Take public transportation instead of driving. We decided to leave our car in the parking lot at USC - $8 paid already there - and take the DASH bus downtown - for a quarter! - and then take the USC shuttle bus back from Union Station - for free! It made us feel much more as if we were savvy locals. 4) Ask questions. Because I asked if we could go into Frank Gehry's magnificent Disney Concert Hall, even though it was closed and past the hour for paid tours, I found out that we could walk up to the rooftop gardens, where we could see the "Rose for Lily" fountain made entirely of bits of broken Delftware, my favorite sight of the day. 5) Pick out at least one unusual sight to see. I think Gregory's favorite may have been the CalTrans headquarters at 1st and Main, which our guidebook told us had been voted as the "ugliest building" downtown. We went out of our way to see it, and it was indeed gratifyingly ugly! 1) Don't follow the guidebook too slavishly. I made the mistake of setting my heart on doing the Fodor's walking tour in order from start to finish, which means that I was so bent on starting with sight number one on the list that I actually walked by sights six, seven, and eight, refusing to look at them because we hadn't yet gotten to them on the list. Alas, as we walked on, it turned out that it would take us too far out of our way to cycle back to those attractions, so we never saw them at all. I may now live the rest of my life without ever seeing the Millennium Biltmore Hotel (an "atmospheric 19290s stunner") or even worse, not seeing the Riordan Central Library of the same period - all because I was so determined to do the tour in order. Very foolish! Still, it was a near-perfect day: DASH bus ride, Delftware fountain, and ugly building! I'm in California for a week with Gregory and his girlfriend, Sierra, looking at some colleges, which seemed like the middle-class parent thing to do. Sierra brought her laptop with her, so I can still blog - hooray! My thought today is how hard it is to be a grownup, to be the one who has to figure out where to pick up the rental car, has to stand in line to get the rental car (after being the one who reserved the rental car on the Internet in the first place), and has to drive the rental car. My dear friend, David, who is the chair of the Philosophy Department, has told me that one of the things he likes about being chair is getting to do grownup things. He said, when you're a kid, people tell you when the meeting is; when you're a grownup, you get to pick when the meeting is. But I'd rather be a kid. This grownup business has never suited me one bit. Luckily, at the last minute I did find myself a grownup to help with at least the driving portion of the trip. I splurged and rented a GPS to go with the rental car. What a relief to have that capable, adult voice telling me to go 1.4 kilometers and then turn right. (Unfortunately, she is a metric-system grownup, and I don't know how to explain to her that I can't do the metric system.) I call her "Mrs. Lady" and it's so reassuring to be able to push the little button and have Mrs. Lady tell me what to do. She did have one small lapse at one point, where she had to pause and recalculate, so she isn't perfect, but heck, you don't have to tell me that it isn't easy being the grownup. It really isn't. Yesterday I had the enormous fun of speaking at Prof. Shelby Wolf’s children’s literature class at CU. I was invited because I’m contributing the chapter on “The Author’s Perspective” to the huge and fabulously ambitious Handbook of Research on Children’s and Young Adult Literature, which Shelby is co-editing with three other prominent scholars: Karen Coats of Illinois State University, Patricia Enciso of Ohio State University, and Christine A. Jenkins of the University of Illinois at Urbana-Champagne. The goal of this eagerly awaited, massive tome is to bring together research done on children’s literature from three different disciplinary perspectives: literature, education, and library science. All three fields study children’s literature, but seldom come into dialogue with one another, their scholars publishing in their own distinctive journals and attending their own distinctive conferences. The Handbook plans to survey research in children’s literature by focusing on the book (from the perspective of literature), AND on the reader (from the perspective of education), AND on the context that brings both together (from the perspective of library science). Of course, I was thrilled when I was asked to contribute the voice of the author, though also daunted at the thought that any one author – me! – would be representing the voice of “the” author. So I tried to interweave my own experiences and insights with glimpses into the creative process provided by our profession’s most acclaimed authors in their Newbery Medal Acceptance speeches, published each year in The Horn Book. My new Horn Book just came, containing Neil Gaiman’s acceptance speech for the Newbery awarded to him this year for The Graveyard Book. I haven’t read the speech yet; I’m saving it for the annual read-aloud of the speech that my writing group does at our summer retreat up at Lake Dillon, scheduled this year for August 13-15. No fair peeking! I love any chance to look at how a fellow writer’s mind works. And now the editors of the Handbook have given me the chance to share how my writer’s mind works, as well. Last night was the final night of the World’s Greatest Concerto series at the Colorado Music Festival at Chautauqua. It was an all-Mozart evening: the overture to Mozart’s last opera (La Clemenzia di Tito), Mozart’s last piano concerto (No. 27, in B-flat major), and Mozart’s glorious last symphony (No. 41 in C major, the Jupiter symphony). The pianist for the concerto, Orion Weiss, was wonderful, but he didn’t get the instant standing ovation that Natasha Paremski got for her Rachmaninoff: his was more the kind of standing ovation where one person stands up, then another, then another, rather than the kind where the entire audience leaps as one to its feet. He had played every bit as brilliantly as she had. But there weren’t as many big, thunderous, crashing sounds, just gorgeous cascades of notes, each one given its exquisite, meticulous, loving due. As someone who writes “little” books, this irks me. There is really nothing little about “little” books! And there is definitely nothing at all little about Mozart! So I was one of the first to jump up after the concerto last night. As I walked down from Chautauqua to my car after that evening of divine music, it was with a grateful heart that I live in a world of such soaring, rapturous beauty. When my boys were younger, they both had music lessons in Lafayette, two towns over from Boulder, where we live (piano for Christopher, saxophone for Gregory). At first I dreaded Wednesday afternoons, when I would drive both boys there and back and have to kill time waiting for the hour-long lessons to finish. 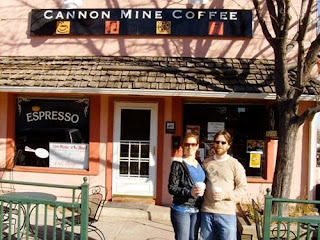 Then I discovered Cannon Mine Coffee on Public Road in Lafayette, my favorite café. From that point on, I spent a wonderful hour every Wednesday afternoon lying on the comfy couch there, sipping my tea (or a glass of wine! ), and working on lists in the little notebook in which I organize my entire life. I love to make lists. I will share some of my lists in this blog from time to time: lists of books I have read, ways to earn money, ways to save money, ways to reduce stress in life, writing goals, and more. The very best list is my monthly list called “Nice Things and Accomplishments.” On this list I write fairly major things I’ve done and fairly major nice things that have happened to me. If I don’t do this, I look at my life and wail, “I have ten thousand things to do, and I’m behind on all of them! It’s already almost August and what do I have to show for my year? Nothing! Nothing at all!” But then I look at my list, and wow – I did all that? I have all THAT to be grateful for? 2) Makeovers by Marcia was shortlisted for a prize in France. 3) I got back reviewers’ comments on a scholarly paper I wrote on Eleanor Estes’s book The Witch Family. The paper wasn’t accepted but I was invited to revise and resubmit. That counts! It’s progress! 4) Gregory and his girlfriend, Sierra, redesigned my website. 5) I created this blog. 7) I gave a talk at the Kerlan Collection at the University of Minnesota. 8) I had a blissful time at the Betsy-Tacy Convention in Mankato. 9) My scholarly paper on Eleanor’s Estes’s The Moffats and The Alley, which I had revised and resubmitted for the Children’s Literature Association Quarterly, was accepted. 10) I heard four of the world’s great piano concertos, by Grieg, Rachmaninoff, Beethoven, and Mozart. Wow! I say to myself, as I read over this list. And I thought I had done nothing. Wow! I say to myself. My life is much more productive and wonderful than I had realized. I bet yours is, too. Last night at the Colorado Music Festival’s series of the world’s greatest piano concertos, I heard 21-year-old Natasha Paremski play Rachmaninoff’s Piano Concerto No. 2 in C Minor, Op. 18. The second half of the program was Rachmaninoff’s Symphonic Dances, his last major work. According to the program notes, Rachmaninoff wrote little in the last decades of his life; although he died in 1943, his was the passionate, romantic music of the 19th century, not the cerebral, avant-garde music of his contemporaries. He lived quietly in Beverly Hills, where he sometimes played two-piano arrangements of his work with his neighbor, Vladimir Horowitz. It would have been fun to hear that music drifting out over the neighborhood, no? Sometimes I think that I, too, was born too late, or maybe, just that I’m stuck in an earlier literary era. I reread the children’s books of my childhood over and over again; the year I was a judge of the National Book Award in the category of Literature for Young People, I helped the award to go to the decidedly (and wonderfully) old-fashioned The Penderwicks by Jeanne Birdsall. Even though I love Mary Oliver as much as everybody else, my favorite poets are still Edna St. Vincent Millay, Christina Rosetti, and Sara Teasdale. Theirs are the poems I can – and do - recite by heart. I write a poem now every Wednesday, free verse (though often with one rhyme that I can’t resist coming at the very end). But I haven’t written anything that I think is as good as the Sara-Teasdale-inspired poems I wrote in my youth, almost all songs of unrequited fourteen-year-old love. Here’s one, dated October 3, 1968. They must have loved you, too. If only I had been born in 1880, what a poet I might have become! Of all the sights I saw in Mankato last weekend, during the Betsy-Tacy Convention, the one that touched and thrilled me most was this. In a display case in the Maud Hart Lovelace children’s reading room of the Blue Earth County Public Library sits a small glass pitcher. A sign tells us that it is the pitcher that real-life Betsy gave to real-life Tacy in the second chapter of Betsy-Tacy, the first book of the series, the chapter in which Betsy and Tacy begin their lifelong friendship at Betsy’s fifth birthday party. There it was. Here it is. The whole weekend made me ponder our mania for finding out that something in a story isn’t made-up, but is real. Even as many of us prefer reading fiction to nonfiction, we want evidence that our fiction somehow is nonfiction, that it really did happen: hence, the craze for memoir, which straddles both domains. For some reason, it doesn’t diminish stories to find their kernel of reality; instead, it enlarges us, as their readers. For if all these narrated wonders – or at least some of them, or at least one of them – really did take place, well, then, maybe wonders can befall us in our ordinary, humdrum lives as well. What if we could go on a literary pilgrimage and see, in a low case in a local library, the actual glass slipper Cinderella left behind her at the ball? The spindle on which Sleeping Beauty pricked her finger? A certain cloak with a familiar red hood? A few remaining bricks from the house of the third little pig? You can see the real Winnie-the-Pooh and Piglet and Eeyore; I saw them myself at the Donnell branch of the New York Public Library; they’ve now been moved to a new location in the Schwarzman Building at 5th Avenue and 42nd Street. There they were. Here they are. "And in that enchanted place on the top of the Forest, a little boy and his Bear will always be playing." Then there’s the perennially popular experiment when a child takes four plants and over a period of weeks waters one of them with Coke, one with water, one with hydrochloric acid, and one not at all. Which plant does best? Hmmm. How about: the one that gets the water? As opposed to the one that gets the hydrochloric acid? Lately I’ve been using this as a metaphor for my own life. For years I was watering my life with hydrochloric acid: spending time too often with toxic people in toxic environments. Thank goodness I stopped doing that! But it’s not enough to stop watering my life with acid. I also need to remember to water it with . . . water. This means taking time to go on hikes in our stunning Rocky Mountains foothills with my friend Rowan, attending the Colorado Music Festival up at Chautauqua (this week they’re doing a series of the world’s great piano concertos – Grieg last night, Rachmaninoff tomorrow, Beethoven on Friday, Mozart on Sunday) – and going off to the Betsy-Tacy Convention with my sister, Cheryl. Now watch me grow! What are you doing to water your life? So there we were, a bus filled with middle-aged women (and their daughters, granddaughters, and nieces) and one genial gentleman who was formidably knowledgeable about the Betsy-Tacy books. We had gotten off the bus in front of the house known to Betsy-Tacy fans as Carney’s house (in real life the home of Maud Hart Lovelace’s high school chum Marion Willard). The question for the morning: could it be – if we walked around to the back of the house - was the sleeping porch from Carney’s House Party still there? And – it was! One person walked into the door of the Carnegie Library that Betsy enters for the first time in Betsy and Tacy Go Downtown and began to weep. But I couldn't stop smiling. People squealed with happiness as we passed the “slough” – pronounced “sloo” – that Emily lives beside in Emily of Deep Valley. We fainted with happiness when we tasted Lady Baltimore cake at the Inn at Murmuring Lake. A hush fell over the group as we caught our first glimpse of the tree under which Mr. Ray proposed to Mrs. Ray, and the bay window where they were married. I keep a gratitude journal where every day I list five things I am grateful for. Today my list is topped with this: that I live in a world in which Maud Hart Lovelace wrote the Betsy-Tacy books. And that I spent three wonderful days with 200 other people who love them, too. First bit of bliss: My first night in Minnesota my wonderful host, Karen Nelson Hoyle (curator of the Kerlan Collection), and her husband, Bob (a native of the Twin Cities), gave me an evening tour that included a stop by F. Scott Fitzgerald's house on Summit Avenue. "Tomorrow we will run faster, stretch out our arms farther . . . and one fine morning . . . "
Second bit of bliss: At the Kerlan Collection I gave a talk to a class that had come to marvel at the Collection's amazing holdings in children's literature. Since I was there to speak, they asked to see my manuscripts, and lo and behold, boxloads of manuscripts from books of mine from decades ago were wheeled out from the air-conditioned, temperature-controlled underground vaults, for inspection - and the students put on WHITE GLOVES in order to touch them. It will take a long time for my ego to return to its proper size after this. Third bit of bliss (ongoing now): At the Betsy-Tacy Convention in Mankato, my sister and I heard a stunning keynote address by Kathleen Baxter, a long-time fan of the books, who visited many of the sites that inspired Maud Hart Lovelace's stories back when Kathy was a college student and before the heedless destruction of many of the sites in the urban renewal mania of the 1960s. To see a picture of the house on High Street! Mr. Ray's shoe store! A letter from "Carney" to Kathy! The audience of 200 leapt to our feet as one when she finished. Then the ice breaker game had us all comparing notes with other attendees to find shared answers to such questions as: "Food you most want to taste" (many, including me, chose onion sandwiches; others chose Anna's coconut cake, fudge, or even Everything Pudding), "Event you'd most like to attend" (performance of Rip Van Winkle? dinner on the S. S. Columbic? honeymoon with Joe? ), favorite Cox Military Slang (I chose, "Ain't it awful, Mabel?" but some chose, "Curses, Jack Dalton! "), and "Is Bonnie blameless in the Tony affair?" (hotly debated). The program for the convention has on it this wonderful quote from C. S. Lewis: "Friendship is born at that moment when one person says to another, 'What? You too? I thought I was the only one!" Which couldn't be a better slogan for this meeting of Betsy-Tacy readers from all over North America. I’m heading to Minneapolis today, first to give a talk at the Kerlan Collection at the University of Minnesota, and then to luxuriate in the joys of the Betsy-Tacy Convention in Mankato. To make the trip even more fun, my sister, Cheryl, is meeting me there. The Kerlan Collection is one of the world’s great children’s literature research collections, containing more than 100,000 books as well as original manuscripts and art work for more than 12,000 books – including mine. I was thrilled when the Kerlan accepted the donation of my manuscripts. Having the actual handwritten drafts of my books in the Kerlan’s temperature-controlled underground vaults is as close as I may be able to come to the writer’s dream of immortality. I’ll be speaking on the topic “Writing the New School Story” at the Elmer Andersen Library on Friday at 10 a.m.
Then, on to “Deep Valley,” the locale for the dozen books in Maud Hart Lovelace’s beloved Betsy-Tacy series. The books are based on Maud’s own childhood growing up in Mankato at the turn of the last century. Of all the books I have ever loved, I love these books the most. I consider Betsy and Tacy Go Downtown to be the finest novel in the English language. The best chapter of this best-beloved book is the chapter where Betsy, an aspiring writer, makes her first visit to Deep Valley’s brand new Carnegie Library. And I’ll get to see that very library in a few more days! Because the books are so autobiographical, fans can visit the actual sites that inspired them: Betsy’s house and Tacy’s house are both maintained as sma ll museums by the Betsy-Tacy Society; Tib’s “chocolate-colored” house is on view as well. 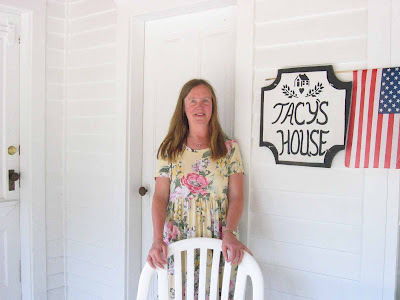 Several years ago, I had the most satisfying experience of my writing career when I did a book signing at Tacy’s house on a family road trip/literary pilgrimage to De Smet, South Dakota (“Little Town on the Prairie”), and Mankato. This time I’ll be giving a talk on the Syrian-American community in Mankato in the early 20th century, as Mankato’s “Little Syria” figures prominently in two of the books: Betsy and Tacy Go Over the Big Hill and Emily of Deep Valley. Following my talk we’ll all eat baklava and pretend that we’re eating it with Betsy, Tacy, Naifi, Emily, and Mr. Jed. Bliss! For my talk on craft last weekend for SCBWI, I set myself the task of rereading Strunk and White’s classic, The Elements of Style, which my editor of 29 years, Beverly Reingold, gave to me as a gift at the start of our relationship together, inscribed to me on July 1980. It struck me on this read-through how many of their confident pronouncements about writing apply to the living of our lives as well. “Place yourself in the background” – good advice, that! “Write in a way that comes naturally” – what if we tried to LIVE in a way that comes naturally? “Do not explain too much” – an excellent suggestion to bear in mind when declining unwanted invitations and refusing burdensome obligations. Above all, this time I was struck by Rule 14: “Use the active voice.” (Oops! That last sentence is written in the passive voice.) Too often lately I’ve been allowing myself to indulge in fantasies of all the things I would like to have happen to me: “If only one of my books would win a prize!” “If only This Particular Person would disappear!” Idle, passive wishing. What if I recast all of these passive yearnings into resolute statements in the active voice: “If only I would sit down every day this week and work for a solid hour on my new book!” Well, I can actually DO that! “If only I would take decisive steps to limit my contact with This Particular Person!” Well, I can actually do that, too. Thank you, William Strunk, Jr., and E. B. White. And the most common problem with the endings of children’s book manuscripts is . . . didacticism. At my SCBWI workshop last Saturday, people guessed the answer to be predictability, which is an excellent answer, but not the correct answer. When I rejected it, they guessed the opposite failing – lack of closure, too many story threads dangling – which is another excellent answer. But the besetting sin of children’s book endings, which has haunted us since the dawn of our profession as producers of earnest Sunday School tracts, is preachiness. Too often I see – and write? – books too obviously focused on teaching a lesson, pointing a moral. And yet . . . as someone who has a day job as a philosophy professor, I confess to writing, and reading, not so much to find out what happens next, but to find out what it was all about: what does it mean? Why is this particular chunk of experience worth writing about? I yearn to get to the moment when the main character has her epiphany, when she finally GETS it, when some small truth about the human condition is laid bare, enabling her to take that one small step toward maturity. So how can we deliver meaning without preaching a moral? Stories are less didactic if the child characters discover the crucial truth for themselves, rather than having it pontificated for them by an adult authority figure. Stories are less didactic if the crucial truth is not something utterly banal and obvious (here is where predictability again becomes an issue). Stories are less didactic if the crucial truth is hard won, growing naturally out of the wrenching events of the story, rather than superimposed on it conveniently at the end. And that is the moral of this blog today! What is the most common problem with manuscript middles? Yes, you guessed it: not enough conflict. I think I run into this problem all the time with my manuscripts because I hate conflict so much in my real life. I just want to be happy! I want to get along with everybody! I loathe and abominate arguments, and meanness, and knock-down, drag-out fights. including over 20 novels, but I learned so much. I only wish I had taken the course at the beginning of my career instead of halfway through. So, as I was working on my spring 2010 novel, One Square Inch, in which Cooper is faced with his mother’s mental illness, I gritted my teeth and took Dennis’s advice. First I killed off Cooper’s dad: no help for Cooper from that quarter. But he still had those wonderful, loving grandparents. . . So then I killed off his grandmother. But he still had that wonderful, loving grandfather. So then I made his grandfather be difficult: critical, crabby, cantankerous. Conflict! Conflict! I still miss the wonderful, loving grandfather sometimes, but I think the manuscript is stronger now. Tomorrow: the most common problem with children’s book manuscript endings. I had lovely time giving my workshop “Write It Right” for SCBWI in Colorado Springs yesterday. The organizers had considered canceling, as enrollments were slow, but we decided to go ahead, anyway, and enrollments came pouring in at the last minute, proof that – well, proof of something about the power of hope. It’s a common mistake, in the first chapter of a novel, to take the dutiful approach and conscientiously bring in all kinds of carefully thought-out information about our characters and their situation: their physical appearance, their likes and dislikes, flashbacks to earlier incidents, the whole history of what brought our protagonist to this crucial moment of time when the story begins. Most of this is not needed. It can be skipped altogether, or worked in a little bit at a time, or (at the very least) deferred to chapter two, once the reader is engaged and eager to learn more. With the correct answer about problematic beginnings to my credit, Alane then asked me to predict the most common problem with middles and endings. What do you think we decided? But it occurred to me after I signed up to give the talk that while craft is extremely important, it isn’t ALL important. All the craft in the world for executing a book idea won’t redeem a mediocre idea in the first place - a ho-hum, done-ten-thousands-of-times before idea. I know. I’ve written (and published) books with some pretty generic, familiar premises, and I’ve also written (and published) books with much more original and fresh premises. I won’t say here which books of mine I think fall into each category (I don’t want to hurt the feelings of the poor books in the first category), but I can say that the books in the second category garnered stronger reviews and sales. My writer friend Leslie O’Kane and I hit on the following analogy that is helpful here. In the Olympics, gymnasts receive two scores for their routines: one is a score for execution (how well was it done? ), but the other is a score for the difficulty and challenge of the routine itself. Even flawless marks for execution will not win a medal if the routine itself isn’t worthy of those efforts. Now I’m trying to make sure that my new book ideas are worthy of as many marks as possible. Brilliant idea first, then flawless insertion of commas. That is my plan! The Longstockings are a group of eight children’s book authors – Jenny Han, Siobhan Vivian, Coe Booth, Lisa Greenwald, Caroline Hickey, Kathryne B Alfred, Lisa Graff, and Daphne Grab - who write about their books, other people’s books, favorite places to write, timely and fascinating news from the children’s book world, and more, in a blog “for the love of Pippi (and all things children’s books).” When I visit their site, I feel as if I’ve been invited in to spend time with this warm community of children’s book friends. I first checked out The Longstockings because I was interested in member Lisa Graff, who has a double life as an editor at my publisher, Farrar, Straus & Giroux, and as an author of wonderful middle-grade fiction, including her debut novel, The Thing About Georgie. The thing about Georgie is that he’s a dwarf, nervous about the impending arrival of a new baby brother who will likely be taller than he is very soon: it’s a funny and touching book, starring a character who is both extremely unusual and extremely easy to identify with. 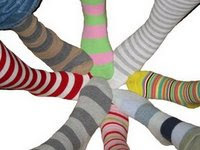 The Longstockings blog also has links to tons of other blogs by children’s book authors, editors, and librarians, so it’s a one-stop way to catch up on blogginess everywhere. Yay for all things Pippi! I attended a wonderful poetry retreat this past January led by poet Molly Fisk and also joined one of her supportive and stimulating online poetry boot camps. Now every Wednesday I wake up and write a poem and email it to my poetry buddy, fellow children’s book writer Clara Gillow Clark. I write about everything from the satisfaction of eating an entire ten-page bag of spice drop candies, to my experiences at Weight Watchers (which I joined after eating that ten-pound page of candies), to my love affair with e-mail, to my son’s junior prom night. maybe about a girl and a boy. It would be good if they had a pet. band. The pet could be a goldfish. Or a rabbit. Or a dog missing a leg. I sit and wait. I sit and wait. The beauty of my four pillars are that I can have each one every single day. All I have to do is pick up my pen, open a book, step outside my door for a stroll, or call, email, or visit a friend. They don’t cost money. They don’t require luck or good fortune. They are 100 percent reliable. They can be savored one by one, or they can be combined: I can walk with a friend, or share a book or manuscript-in-progress with a friend, or get together to write with a friend. I can read something that will inspire me to write; I can write something about what I have read. These are my four pillars of happiness. What are yours? One of the most fun things that can happen to an author is when our books are translated into foreign languages. I love being able to admire You’re a Brave Man, Julius Zimmerman in its Japanese version, which opens from (what we would call) back to front and reads vertically rather than horizontally. The only way I can be sure that it is my book is that the copyright page is fortunately printed in English. It always seems amazing to me that I am the author of a book I can’t even read. 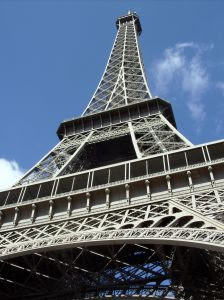 Maybe I’ll win, and they’ll fly me to Paris! Well, it’s fun to dream, anyway. 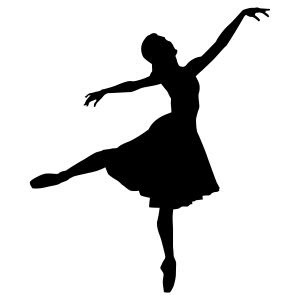 Have you done your dance today?